Christine has worked in dental hygiene for nearly a decade. She has won multiple awards for proficiency in her trade, and in her last private practice had many loyal patients request her by name. In pursuit of her goals of charity and community out reach, she has worked for nearly two years for a non-profit entity dedicated to helping underprivileged children and the less fortunate. 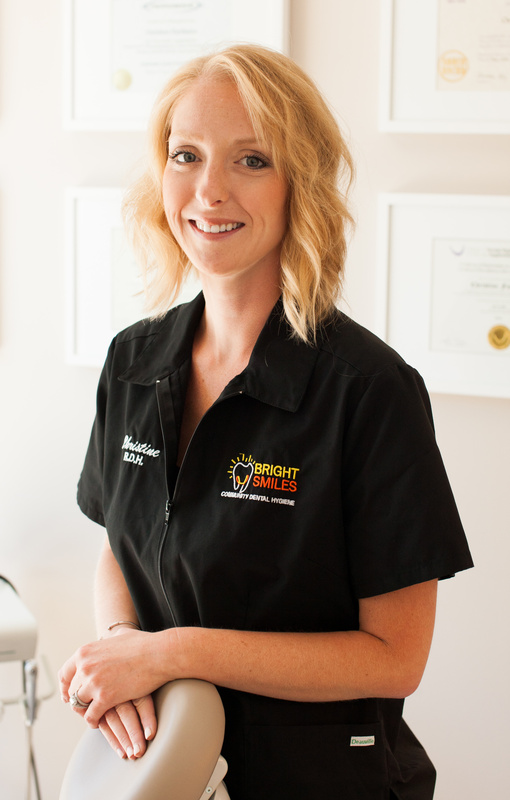 She will bring passion and enthusiasm for her work to her new patients at Bright Smiles CDH.